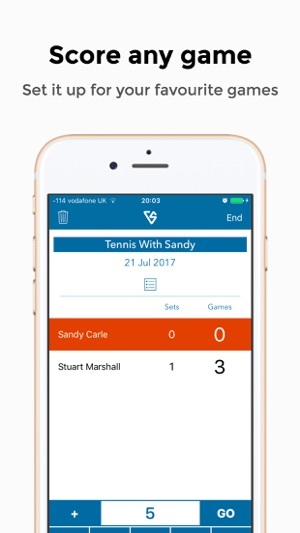 Exclusive to the Apple App Store, Versus is the most advanced and flexible scorekeeping and tracking app available anywhere. 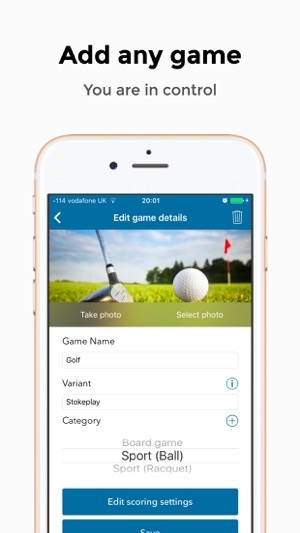 It can be configured to score virtually any and all games that you need it to: Card games, Computer games, Board games or Sports. What you score, and how you score it, is completely up to you. 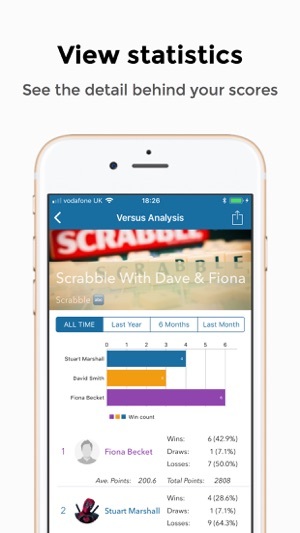 For all of these scenarios (and for virtually anything else that you can think of), Versus app can be set up to track every point, goal, game, set and match that you want it to. 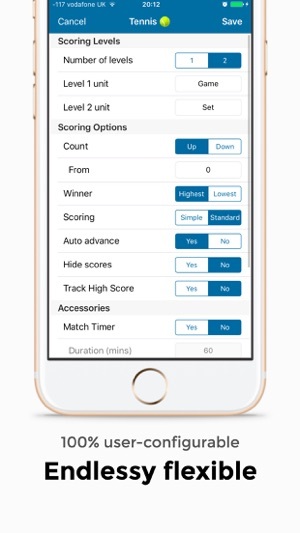 Depending on your preference (or the game/sport in question), Versus can be used to keep the score during play or be used to log the scores after the game has finished. Every match that you score is logged and allows you to drill-down into the details for each (what point was scored when / who had a run of points etc). You can also see the win ratios for each person involved in each Versus and see at a glance who is the best player. You can also see things like average score and a 'league view'. (Note: A 'Versus' is the pairing of players to a game. 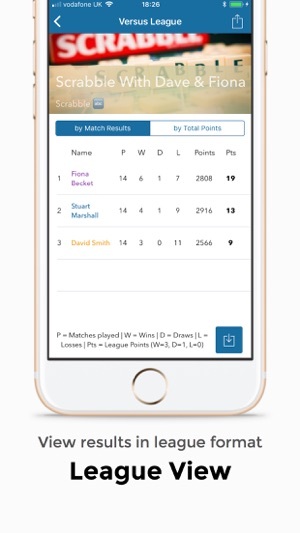 An unlimited amount of matches can be scored/tracked for each Versus). There are also options to view your performance beyond each individual Versus. You can view statistics by Game and by Category too so that you can see how you are performing more generally. You can also view analysis for each player that you add showing how many Versus they are involved in, how many matches they have played and a full breakdown of their Wins, Draws and Losses. All of the analysis screens also allow you to filter by date so that you can see how your​ performances change over time. Available filters are All Time, last 12 months, last 6 months and last month. 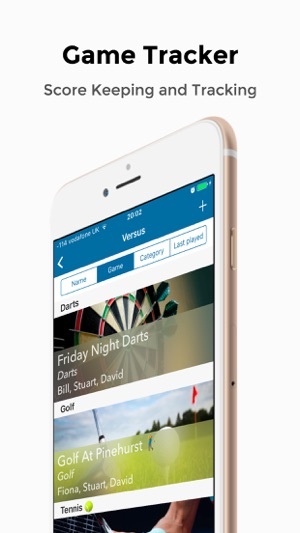 Via a note taking function you can record comments about any noteworthy points / matches. 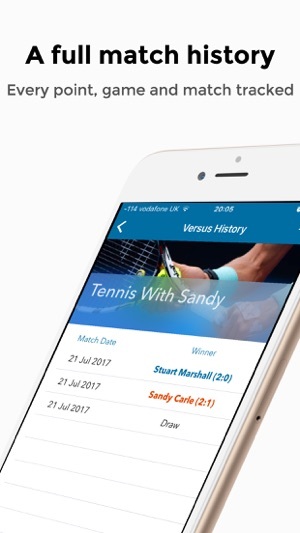 Share your match results via any messaging/social media app directly from inside Versus app. Several of the stats/analysis screens allow you to share too. Export all of your treasured results to CSV format for safe keeping / archiving or to perform further analysis using excel, numbers or other statistics applications. 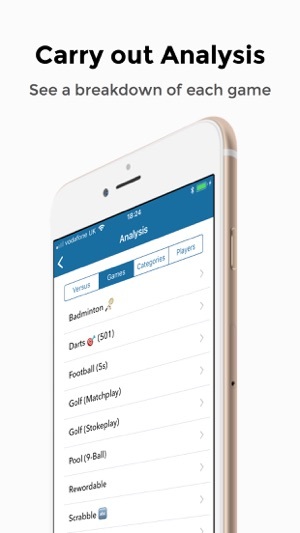 Data can be exported for each Versus, for all matches, all games or all points depending on the granularity of data that you wish to review. You can also download a spreadsheet for 'league view' which can be shared with those that you play with. Versus is totally free to download and use but is limited to creating 2 Versus (though you can have unlimited matches within each Versus). 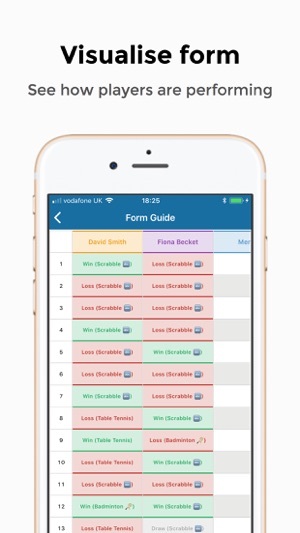 Unlocking the full app will let you set up unlimited amounts of Versus and allow you to export all match data. 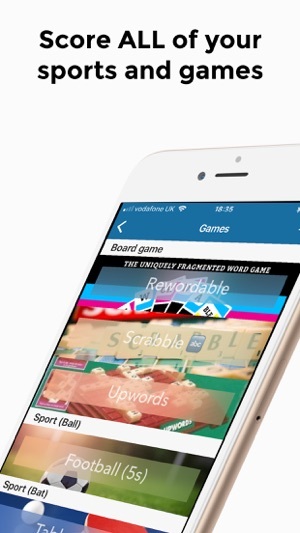 Big update in time for all of your family games over the festive period!! - Enable manual sorting - this new option (available via game settings) allows you to rearrange the order of the players at the start of each new game. This is great for board games etc where you want the order to reflect how people are arranged around the table. As soon as scoring for the game starts then the option to rearrange players will be removed. This option is disabled as default as games that contain only 2 players would not benefit from this (as the starting player in those situations can be set by simply tapping on the player name). If you appreciate this update then please consider leaving us a rating or review. And keep your feature requests coming. Hey - Thanks a lot for your review 😁. Really glad that you are finding it useful. Thanks a lot for the review. I’ll get that feature added soon!! 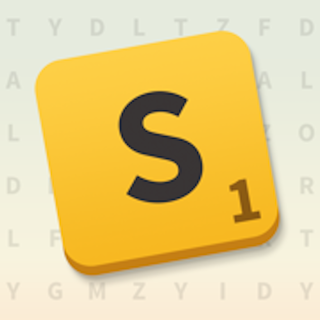 Edit: It's here....check out v1.6.5!